The Galeon 660 Fly is powered by twin MAN V8 marine diesels and can reach speeds in excess of 30 knots. 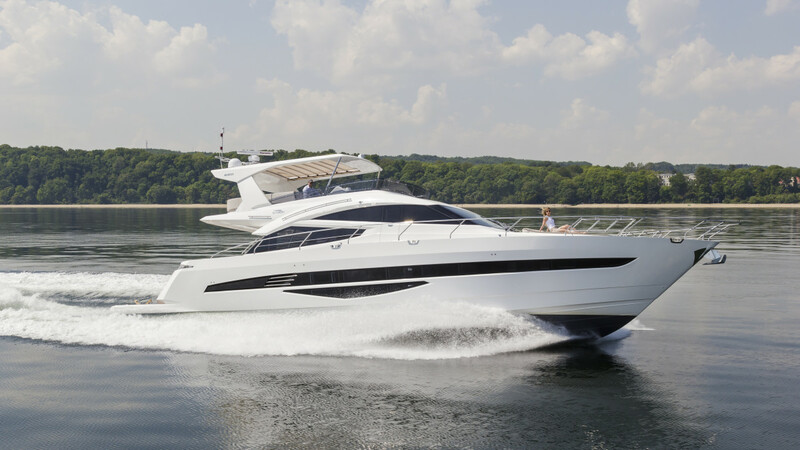 MarineMax will introduce the Galeon 660 Fly to North America at the Farley State Marina in Atlantic City, N.J., on July 22 and 23. MarineMax said it will be the first opportunity to see the largest Galeon yacht in North America. Tony Castro is the designer. Powered by twin MAN V8 marine diesels producing 1,200 hp each, the Galeon 660 Fly can reach speeds in excess of 30 knots.